Us Brits love our baked beans. I have not made these for about 8 years and I was surprised how delicious they were. I was lucky to have a jar of molasses in the cupboard from my vegan Christmas pudding. It gives a great flavour but toucan use honey, of you eat it, or syrup or brown sugar. I made the beans the night before and when I got home from work I only had to heat and eat. It helps if you use a good fresh, crusty loaf for the toast. Leave the mushrooms whole if you want them really juicy and buy the biggest ones you can find. I used dried, haricot beans but you can use any tinned, white beans too. Heat the oil and add the onions. Fry until soft. Blitz the garlic and tomatoes in a blender until liquid. Add the tomato mixture, beans and all of the other ingredients to the onions. Bring to the boil and simmer for about and hour until rich and thick. Season to taste. In the meantime, heat more oil in a large frying pan and add the mushrooms. Turn the best down and put a lid on the pan. Cook for about five minutes until the mushrooms are soft and juicy. Season to taste. Toast the bread and spread with vegan spread. 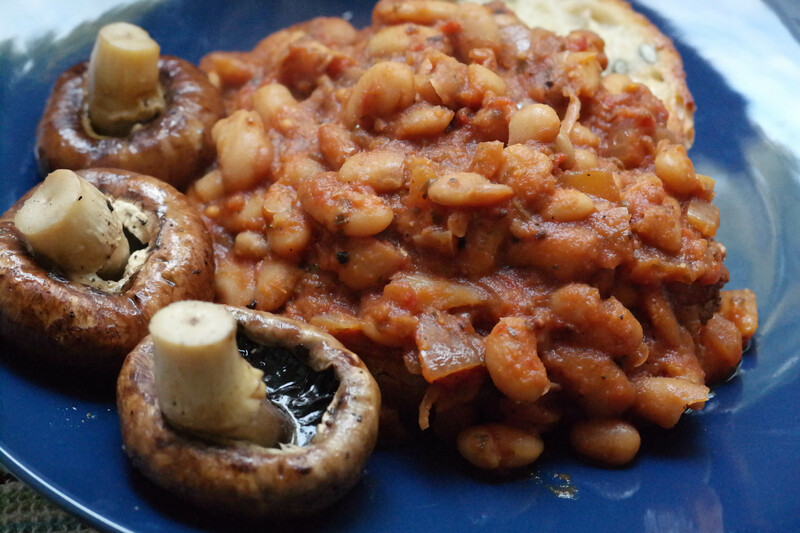 Spoon the beans on the toast and serve with the mushrooms. I love freshly cooked samosas. The best veggie samosas I have ever eaten were in a petrol station in Mombasa, Kenya. An unlikely location for great food but that is often the case. Samosas need to be crispy but not fatty and have plenty of filling inside. I cook these in the oven rather than deep frying. 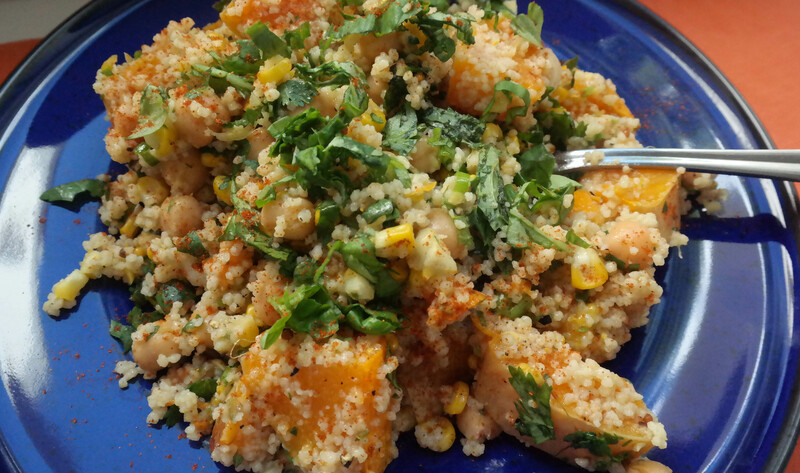 I had some roasted butternut squash left over from the couscous salad recipe and decided to use that. It worked really well. 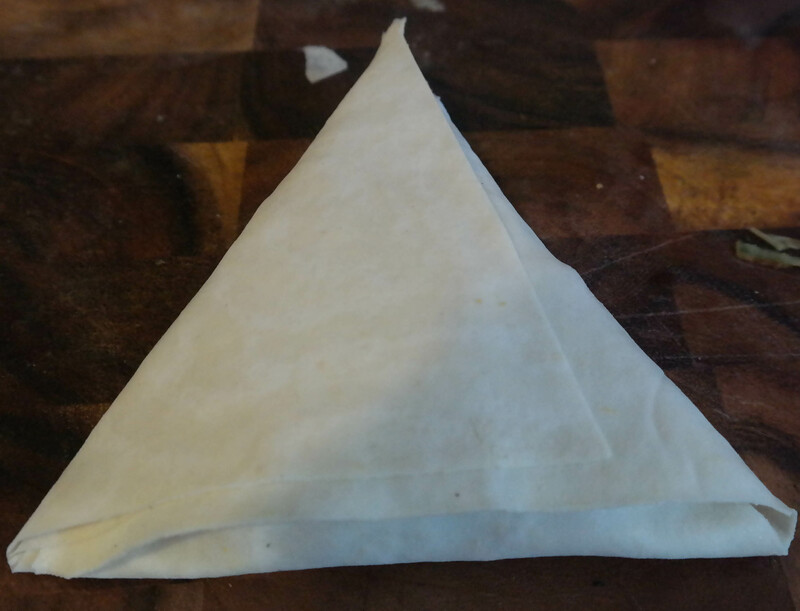 Proper samosa pastry is thick and lovely but ehere I use shop bought filo pastry which is easier and lighter. It does take a while to make these but you get much quicke after the first one. The sambal can be served with curries as well as used as a chutney with cold food. Heat the oil in a frying pan and add the seeds. Allow to toast a little then add the onions and garlic, chilli, ginger paste. Cook until the onions are soft and starting to caramelise. In the meantime, mash the butternut squash in a large bowl and add the onion mixture when it is ready. Stir together well and season to taste. You now need to construct the samosas by following the pictures. 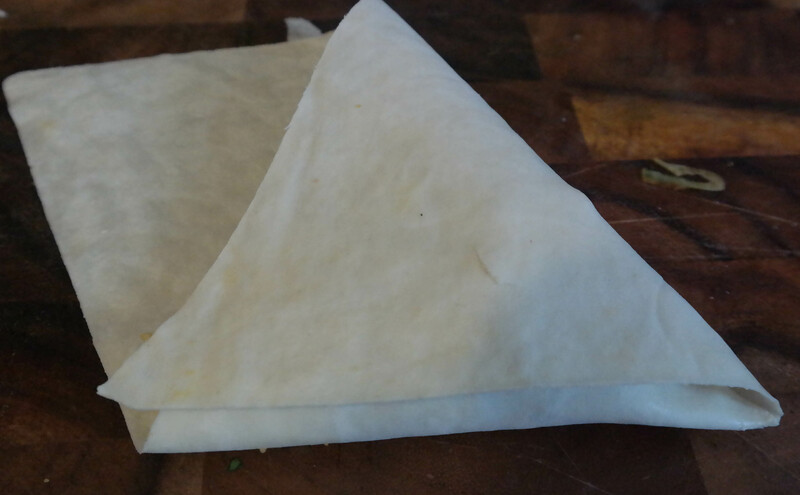 Use the pastry two sheets thick and keep the pastry moist by covering with a damp tea towel. 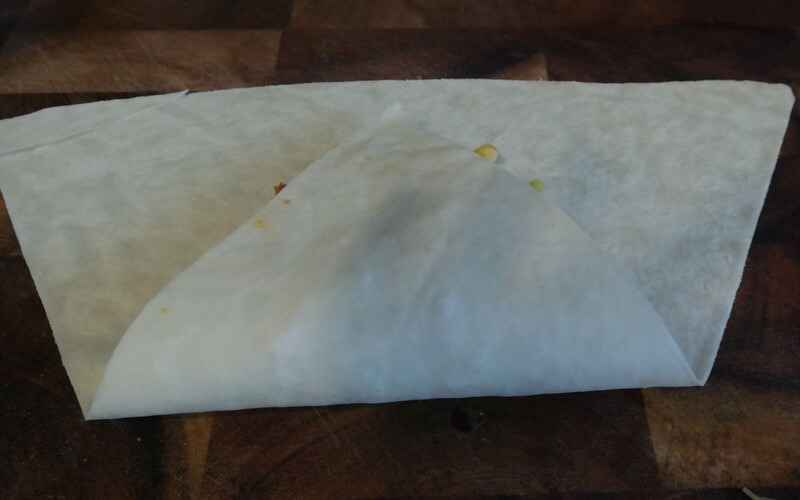 Moisten the edges with water at each stage so they stick together well. Once this is done brush them all over with oil and place in an oiled baking tray. Cook at 170 degrees celsius for 20 minutes. Turn half way through so they are brown on each side. 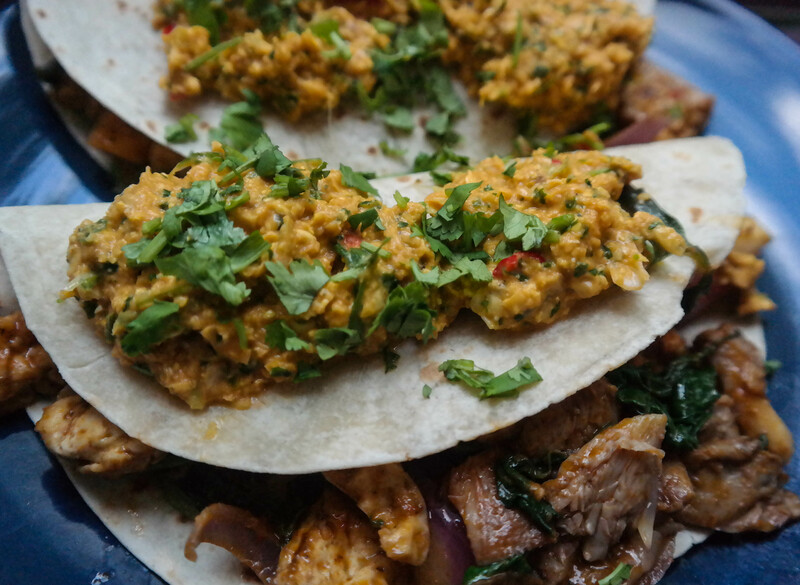 While the samosas are cooking, make the sambal by combining all of the ingredients in a food processor and blitzing until it is smooth. Season to taste. Couscous can be very dull and you need to add a lot of flavour to make it into something wonderful. 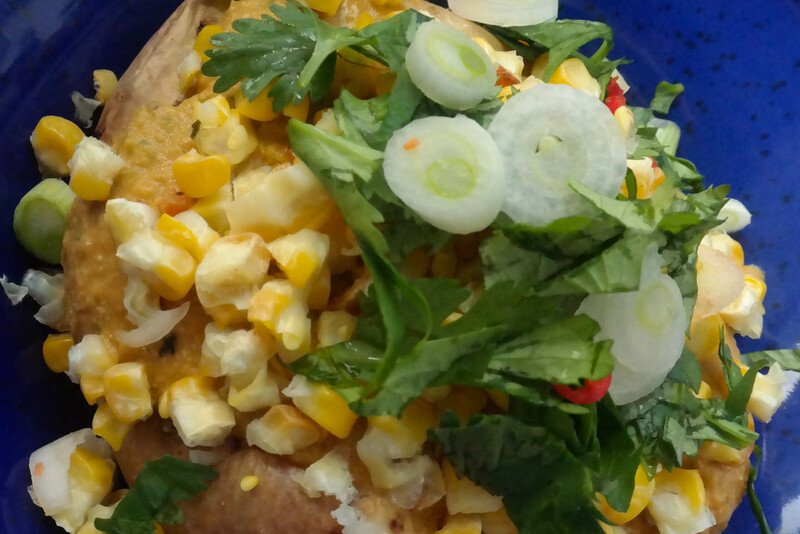 This dish has sweetness from both the squash and the corn plus bags of freshness from the mint and coriander. 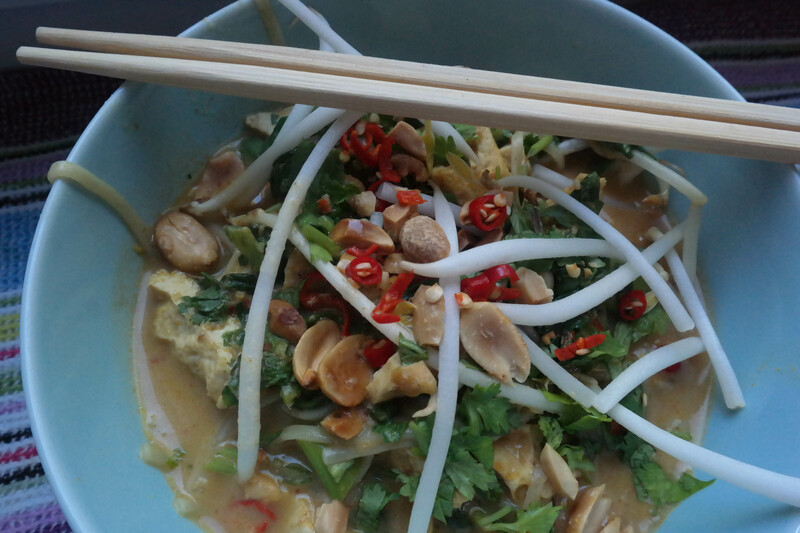 We like our food spicy so you can also add chill like I did to give an extra punch but it can be left out. 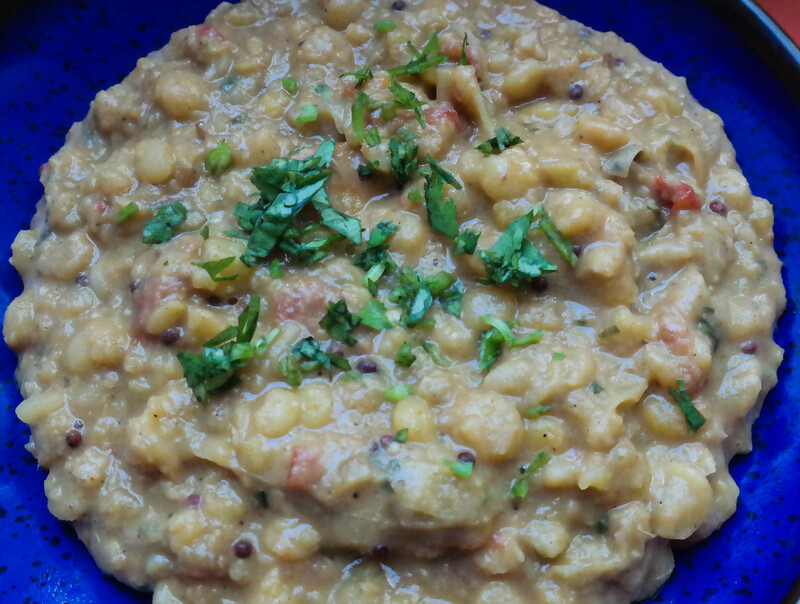 Chickpeas are added for extra protein but green lentils would also work. This could be served on its own or as part of a vegan mezze platter. 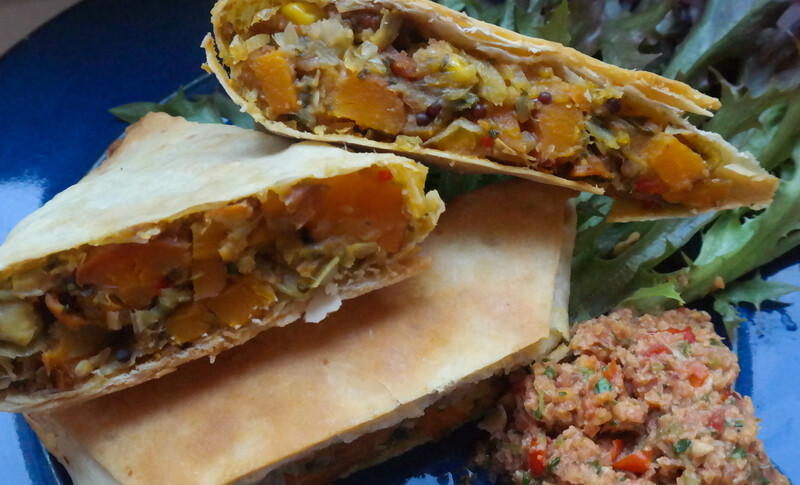 It could also be put inside a wrap with some red pepper hummus from the previous recipe. You could add a handful of toasted walnuts for extra texture. Salt and pepper to taste? Cut the butternut squash in half and place on a baking tray with the corn ears. Roast in the oven at 170 Celsius. Remove the corn after about 10 minutes and remove the squash after a total of about 30 minutes. Leave to cool. Place the couscous in a pan and add just enough boiling water to cover the couscous. Leave with a lid on for 10 minutes then remove the lid and stir with a fork. Put to one side. When all the ingredients are cool, place the couscous in a large bowl and add the chickpeas, mint, garlic, coriander and onion. Chop the squash into bitesize pieces and remove the corn from the cobs. 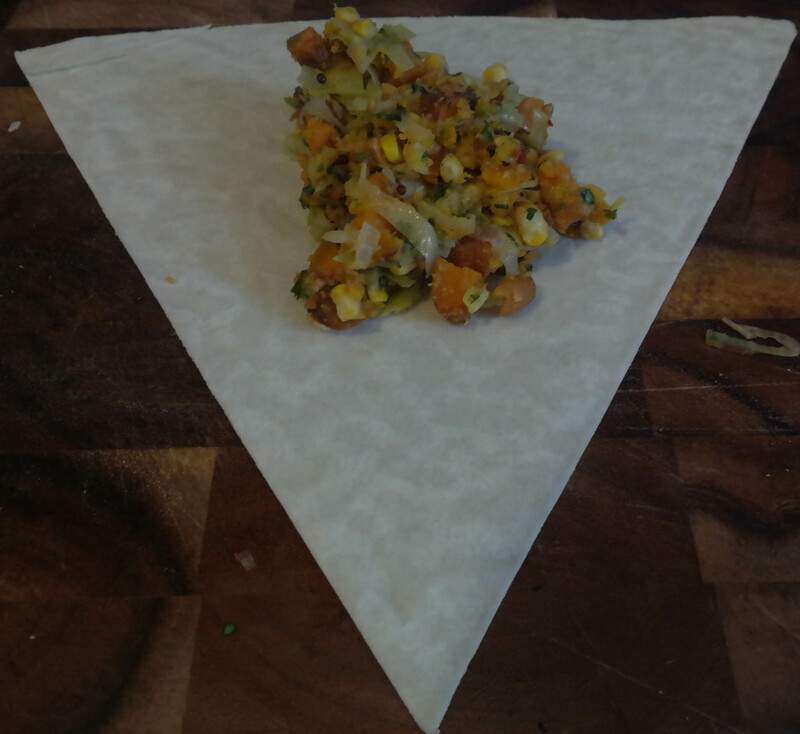 Add the squash, corn and dressing to the couscous mixture and season to taste. Add the chilli if using. Chill before serving.